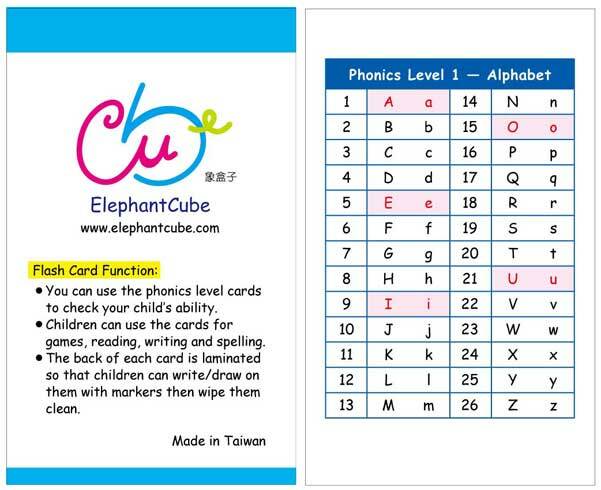 • Includes 29 double-sided cards: 26 alphabet/phonics cards (featuring 182 words and 78 pictures), two phoneme summary cards, and an instruction card. 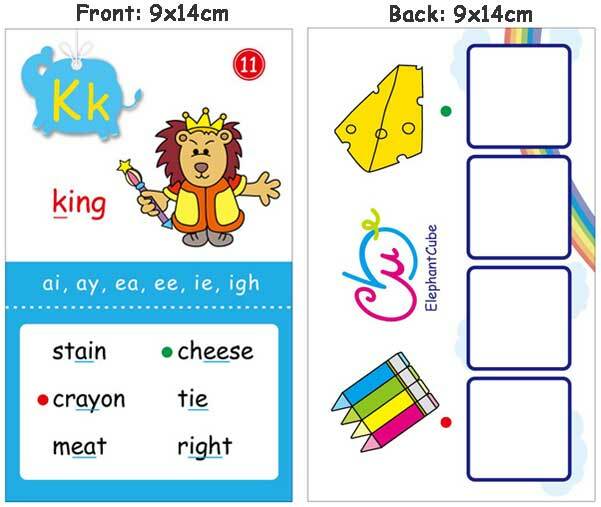 ✓ The back of each card introduces 2 pictures to match two of the words on the front of each card, as well as four boxes for putting cubes on. 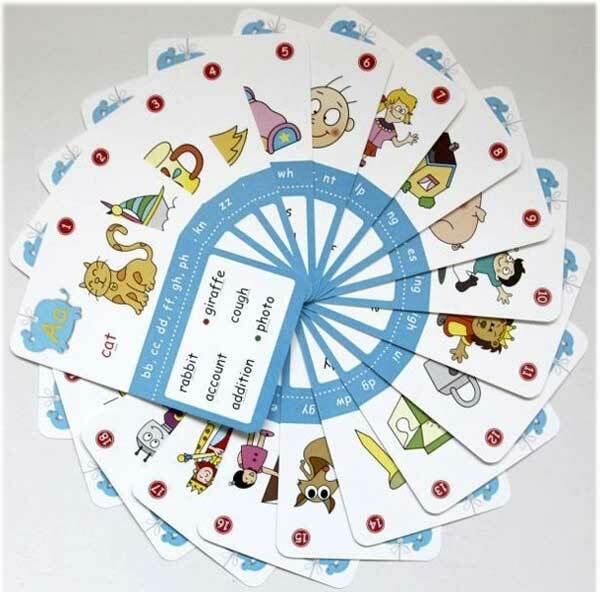 ☺ Children can use the cards for games, reading, writing and spelling. 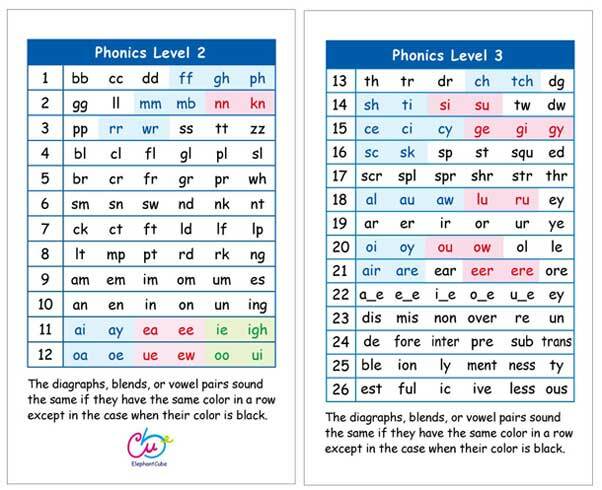 ☺ Begin by introducing phonics rules of the level 1 card (consonant sounds, short vowels), then the level 2 card (easier letter blends) and, finally, the level 3 card (harder letter blends).